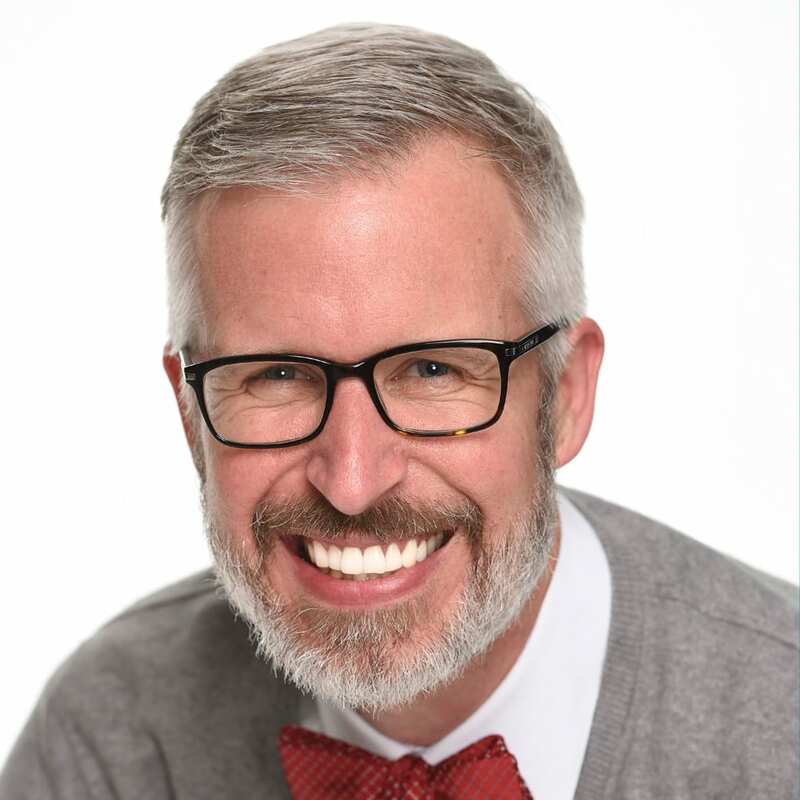 As a child, I spent countless hours in toy stores dreaming of which presents I wanted Santa Claus to leave under my family’s tree. With only a handful of days left to find that perfect toy for the holidays, I spoke with the ShopDisney.com team to learn which toys are this year’s must-have items. From classic Disney Princesses to heroes from a galaxy far, far away, their list includes something for everyone and makes me wish I was a kid again! 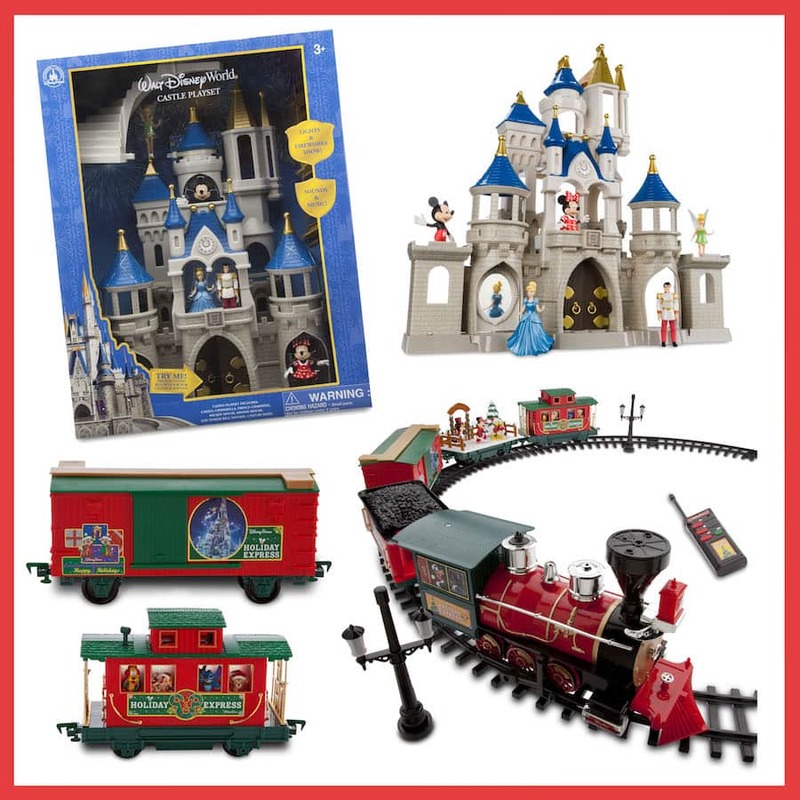 Created especially for Disney Parks, Mickey and the gang set out for the North Pole with the festive remote-control toy train gift set. 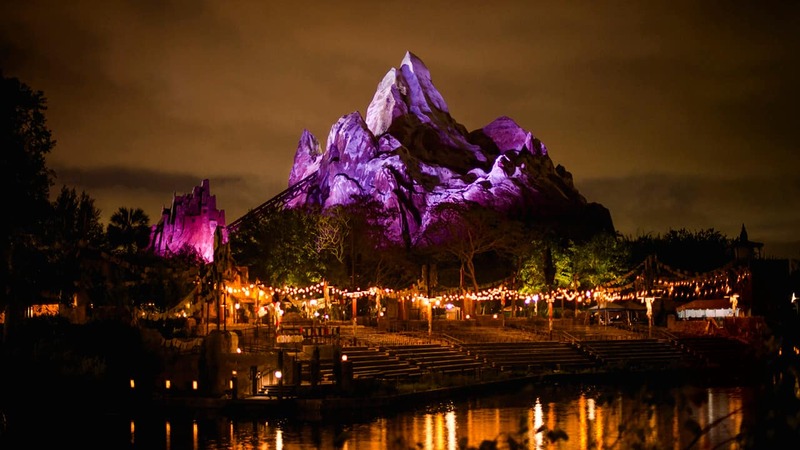 The set includes a locomotive, four train cars with animated character surprises and over 20 feet of track! Inspired by the iconic Cinderella Castle in Magic Kingdom Park, this play set includes lights, sounds and action figures of world-famous Disney characters. It’s a Cinderella dream come true from Walt Disney World Resort. 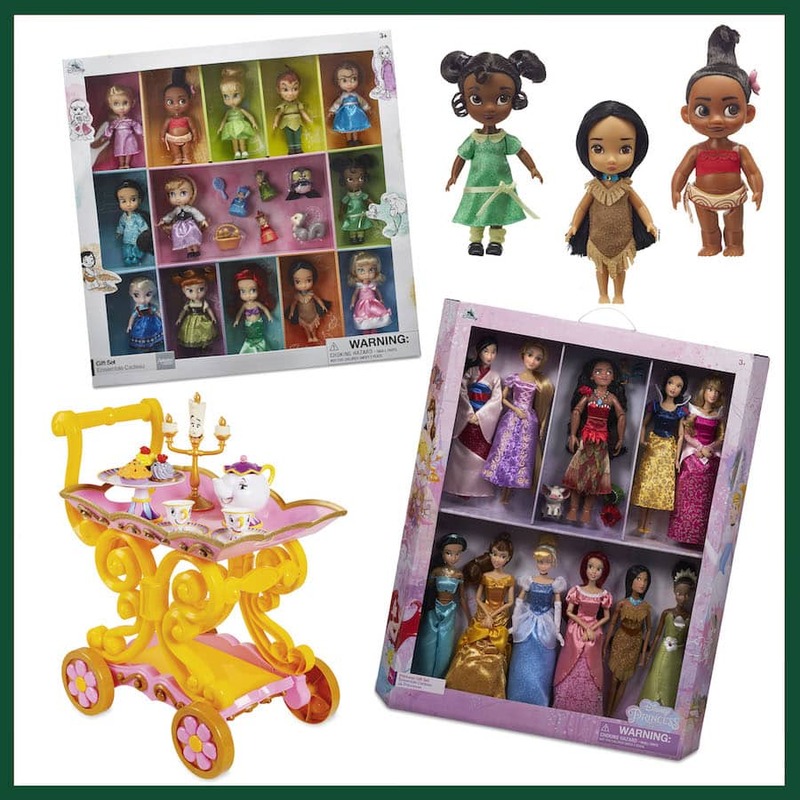 For Guests who love classic Disney stories and Disney’s most beloved heroines, two gift sets are available this year. The Disney Animator’s Collection set includes 12, five-inch Disney character dolls, which were reimagined as toddlers under the guidance of authentic Disney animators and artists. A second set celebrates 11 Disney princesses (plus Pua from Disney’s “Moana!”) that have captured Guests’ hearts for years. Your little one will always be prepared for an enchanted tea party with this delightful singing tea cart inspired by Disney’s animated classic, “Beauty and the Beast.” Lumiere sings “Be Our Guest” while Mrs. Potts and Chip set the scene for tea time. 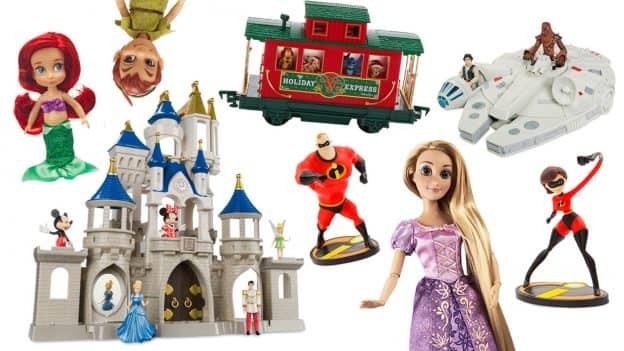 From “Toy Story” to the colorful cast from “Incredibles 2” and “Cars,” fans of Pixar’s timeless characters will find several action-packed toys this season. Space Ranger Buzz Lightyear does plenty of talking and will light-up. 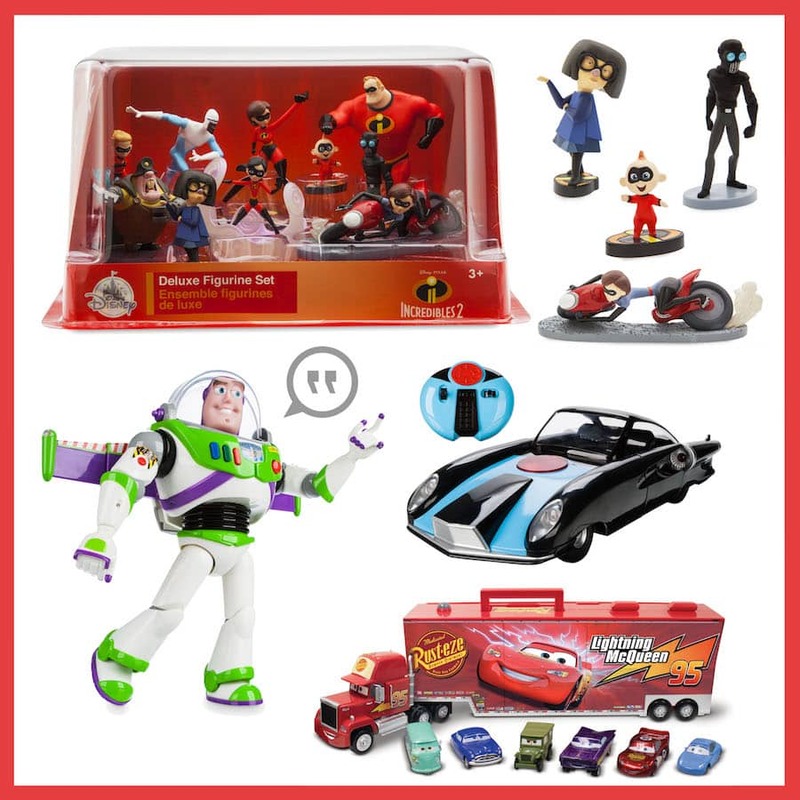 A 10-piece deluxe figurine set from “Incredibles 2” includes the Parr family alongside other familiar faces, while the Incredimobile Remote Control Vehicle is a working replica of the mechanical member of the Incredibles. Mack from “Cars” carries six die-cast cars that pull back with friction motors. Hot dog! Kids can create memorable moments with the deluxe Mickey Mouse Clubhouse playset which includes interactive light and sound effects plus action figures. 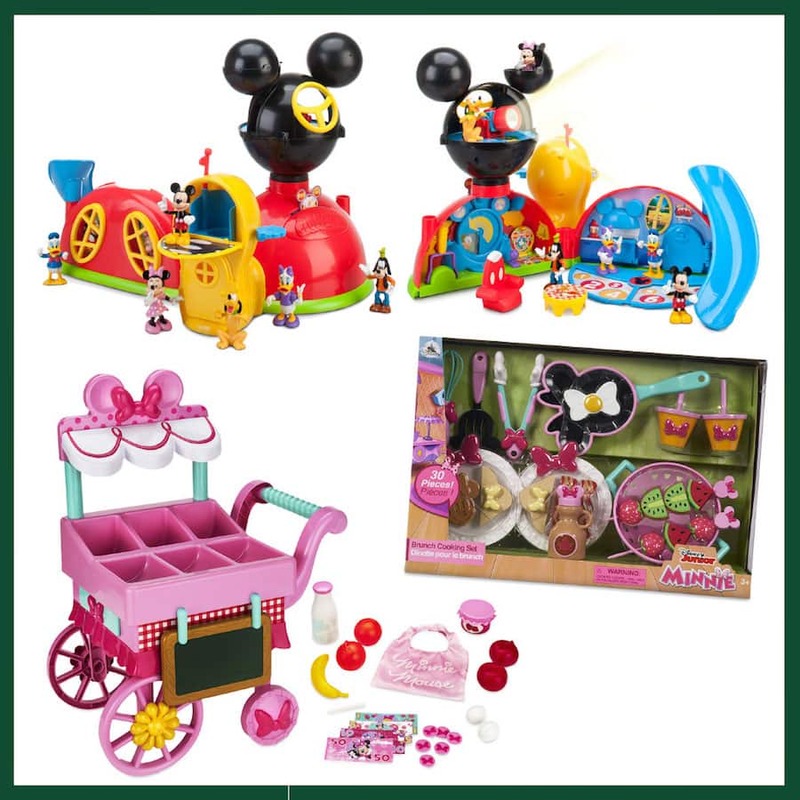 Playtime will be healthy and fresh with Minnie Mouse’s child size Farmer’s Market Stand play set and Brunch Cooking Set. The former includes a cart full of fun produce, products, and play money, while the latter contains 30 pieces of stylish serveware and sweet treats. 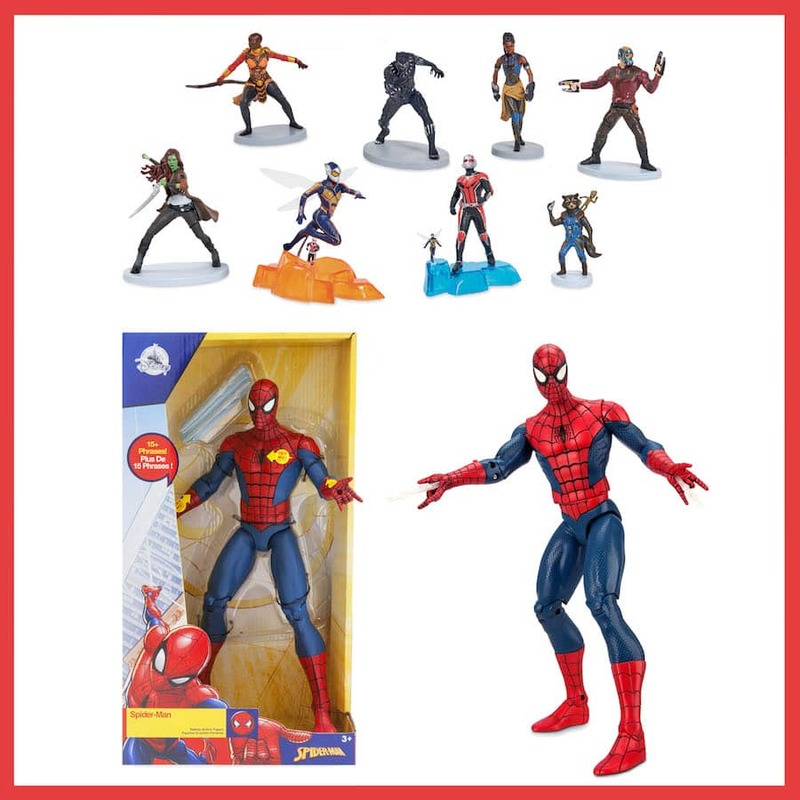 Save the day in super hero style with an epic Mega Figuring set featuring 20 iconic characters, each containing detailed sculpting, or with a talking action figure of the friendly neighborhood super hero who has plenty of fighting words and two web slingers to battle his enemies. 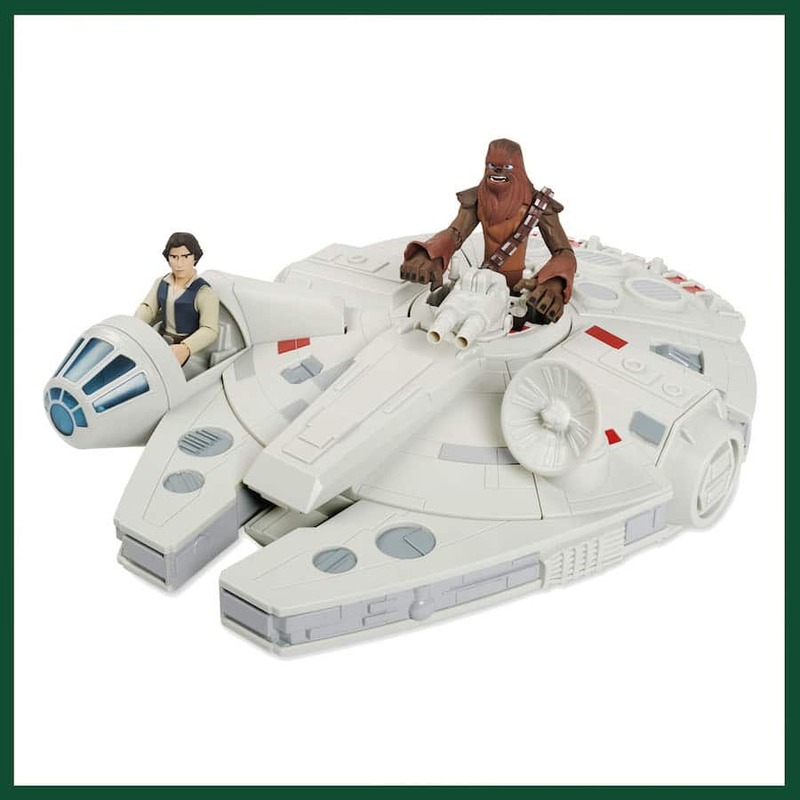 Part of the Star Wars Toybox collection, the intergalactic smuggler Han Solo and his Wookiee companion Chewbacca are at the helm of their Corellian starship with the Millennium Falcon Play Set. It includes motion activated flight sounds and light up engines. You can find select products in merchandise locations at Disney Parks, but an even bigger selection is found ShopDisney.com.